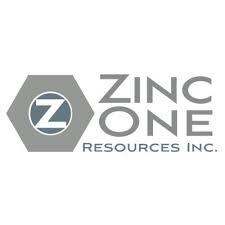 Zinc One Resources Inc. (TSX-V: Z) (OTC Markets: ZZZOF) (Frankfurt: RH33) is pleased to announce additional drill results from the remaining holes in the Mina Grande Norte zone, Bongará Zinc Mine project located in north-central Peru. Dr. Bill Williams, COO of Zinc One commented, “The numerous high zinc grades associated with the Mina Grande Norte zone are spectacular and exceed our overall expectations for thickness and grade along the western edge of the deposit. They delineated the aerial and vertical extent of the high-grade mineralization and will be an important contribution to the upcoming resource estimate. The drill results at Mina Grande Norte are very encouraging and reinforce the upside potential of the Bongara project overall. The results from drill holes MGN18009 through 016 at Mina Grande Norte can be found below in Table 1. A detailed map titled “Drilling and Pit/Surface Sampling at Mina Grande Norte” can be found on the Company website at www.zincone.com.